It was a rainy day in Munich for the opening of the 183rd Oktoberfest but that didn’t dampen the spirits of plenty of festival goers who began queing before sunrise for prime open ceremony positions. Some 6 million people are expected to attend this years festival. As is tradition, the first keg was tapped in the Schottenhamel Tent by the Mayor of Munich followed shortly after by the other tents. Construction of the beer tents at Theresienwiese in Munich is well underway with Oktoberfest 2016 due to begin on September 17th. Of course the local Oktoberfest events here in Australia tend to begin long after Munich has settled down and the beer tents are going back into their storage containers. 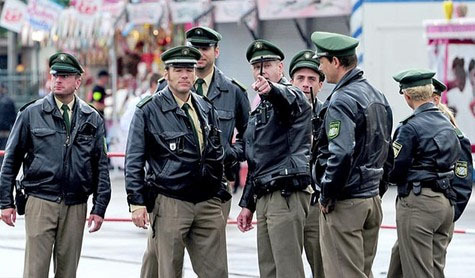 For those lucky enough to be attending Oktoberfest in Munich this year, there are a few security changes due to recent events both in Germany and around the the world. 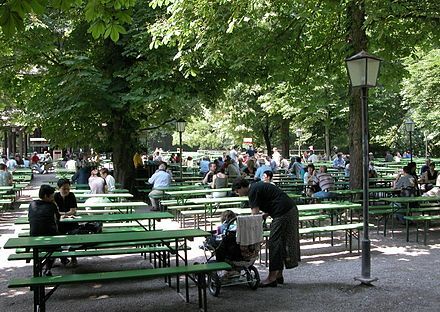 Previously entry to the Oktoberfest grounds was uncontrolled with patrons free to come and go as they please. Begining this year the number of entry points will be reduced with fencing put in place and security checkpoints at those remaining entries. Backpacks and large bags will be prohibited inside the grounds however places to store them will be available nearby. Handbags and the like are still permitted however will be subject to inspection on entry. ID checks will also be conducted so ensure you carry some form of photo ID for hassle free entry. 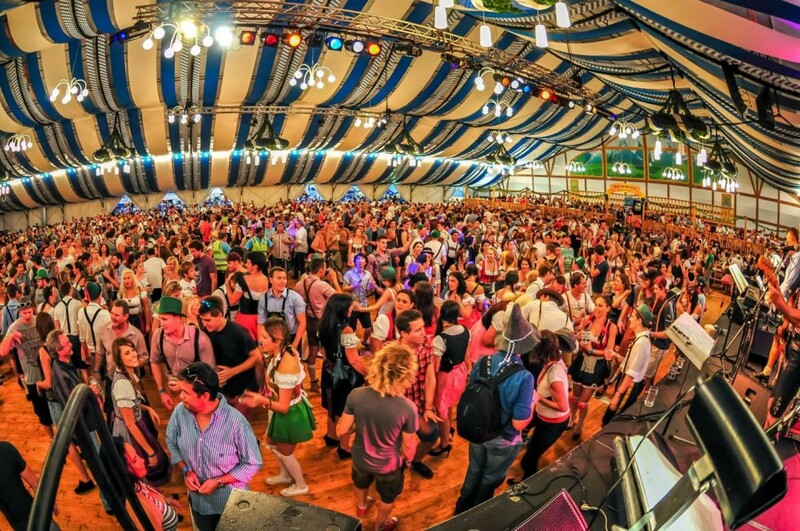 With 5.9 million people attending Oktoberfest last year, that’s a lot of beer drinkers to keep safe! Every Oktoberfest München TV is broadcast on regional television with hosts Marion Schieder and Alex Onken. They cover the entire festival from a live broadcast daily from Hofbräu Festzelt along with prerecorded segments throughout the day. Even if you don’t speak any German you can get a real feel for the atmosphere at Oktoberfest. You can watch the München TV live stream at www.muenchen.tv/livestream. Every now and again they speak to random people in the crowds and a few Australians have popped up in previous years, although the hosts tend to move on pretty quickly when they don’t speak any German. If your internet connection isn’t up to the task, you can watch prerecorded segments on the München TV youtube channel at www.youtube.com/user/muenchentv. The 182nd Oktoberfest began a few hours ago with the tapping of the first keg by the mayor of Munich, Dieter Reiter and cry of the traditional “O’zapft is” meaning “it’s tapped”. The Schottenhamel beer tent hosted the Oktoberfest opening ceremony after the morning parade as it does every year. 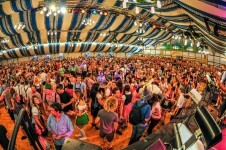 When it began in 1867, Schottenhamel had only 50 seats but these days seats around 10,000 guests at any one time making it the biggest of the Oktoberfest beer tents. 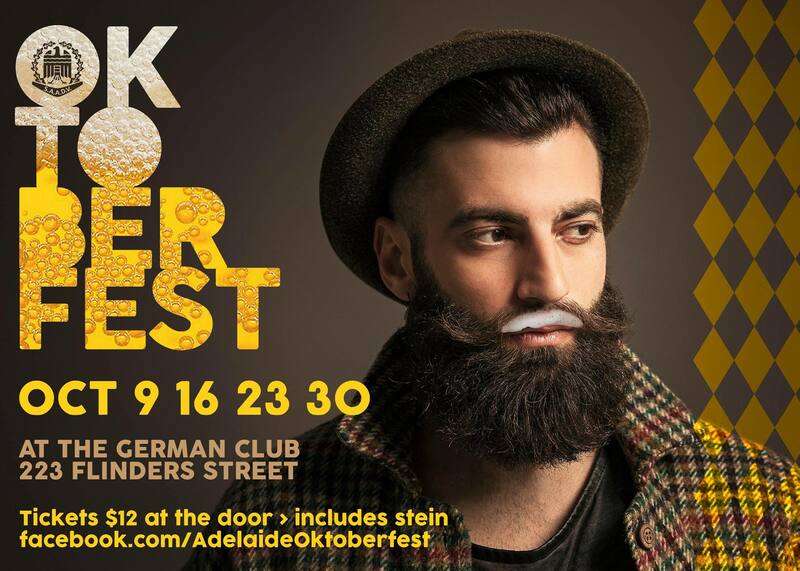 Perth Oktoberfest fans would know about Oktoberfest In The Gardens which has taken place over in the west since 2011. As the events popularity has grown its organisers now take it on the road to include Melbourne for the first time in 2014 and Sydney also to be included this year. Prices vary between $45-$65 however tickets are almost sold out already! They have traditional Oktoberfest beers available including Hofbrau, Paulaner and Lowenbrau, along with a few others. Traditional foods are also available including bratwurst, sauerkraut, park knuckle, curry wurst and pretzels. 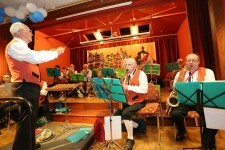 Entertainment starts off mostly traditional with brass bands, yodeling and accordions with the DJ’s coming on stage later in the evening with more of a music festival vibe setting in. 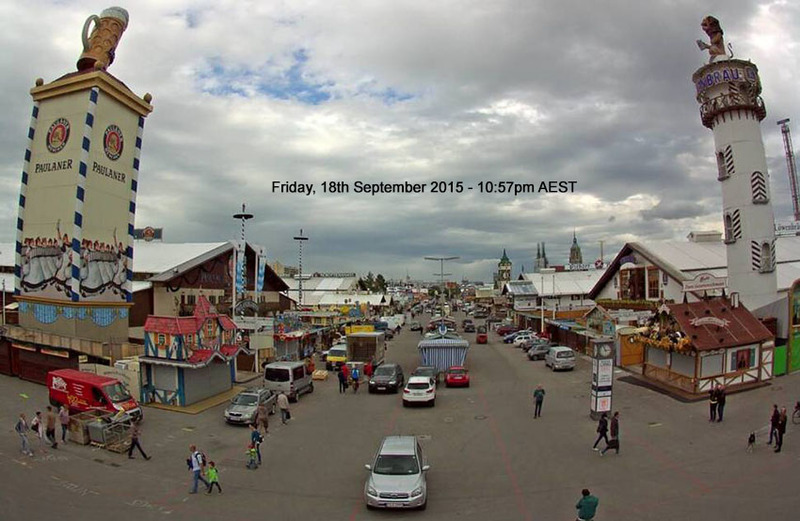 The 182nd Oktoberfest is about to begin in Munich, Germany in less than 24 hours. On Saturday the 19th of September at 6:45pm Australian Eastern Standard Time to be precise. For those of use who aren’t lucky enough to be in Germany for the real deal, there’s plenty of events and things to do to experience some of that Oktoberfest feeling. 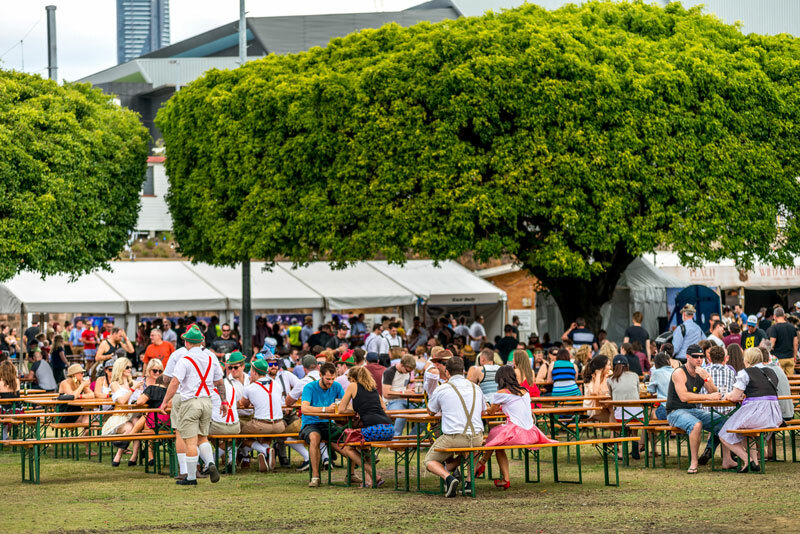 Oktoberfest Downunder is a place to find information about all things Oktoberfest and German beer culture that you can see, do and taste, right here in Australia. 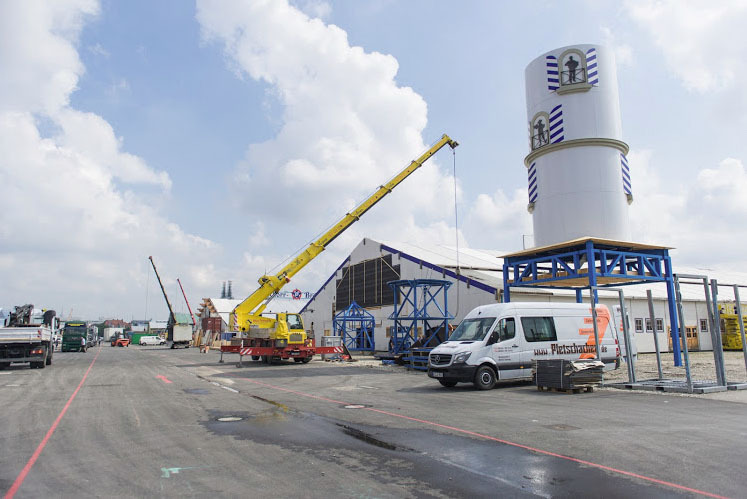 So let us look upon the hard workers putting in the final touches to the beer tents before over 6 million people descend upon Theresienwiese tomorrow for the 16 day festival.